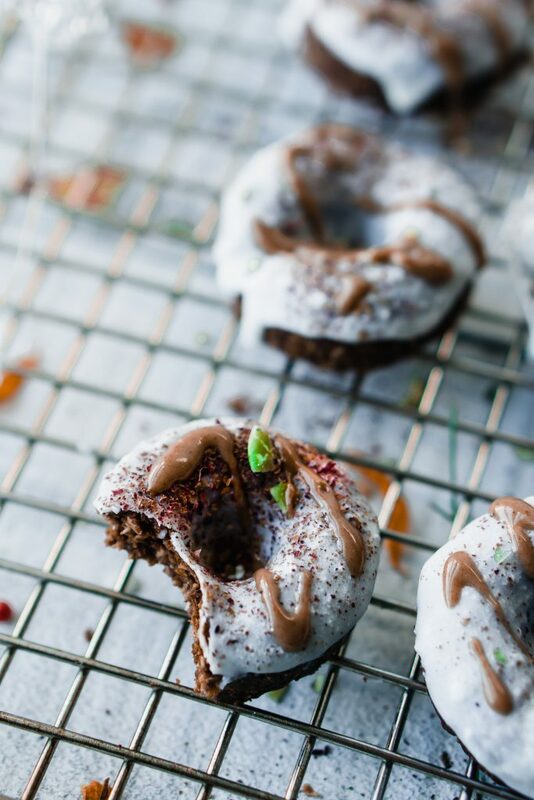 Coconut Butter Glazed Nutella Reishi Donuts is the most perfect, no-bake, magical, clean & tasty recipe you will ever make! You can easily make them any night of the week and have a tasty treat for the morning. So, the other night, Dan picked up a massive box of donuts for us and our guests. It was so sweet of him! I’m all for donuts from a good source, but let’s be real, usually, I feel sick after eating them. Therefore I thought why not make my own donuts, for this Sunday and what better Sunday than the one before New Year’s! 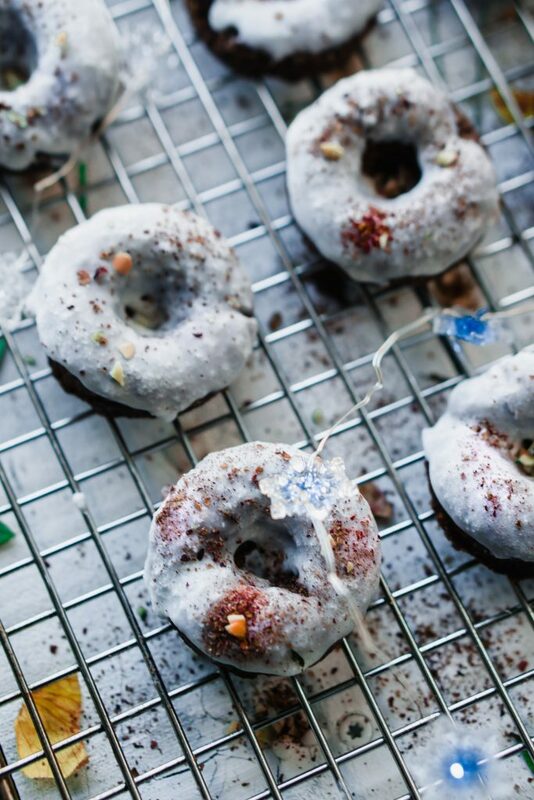 Obviously, these babies are good any time of the year, I mean they are donuts after all! 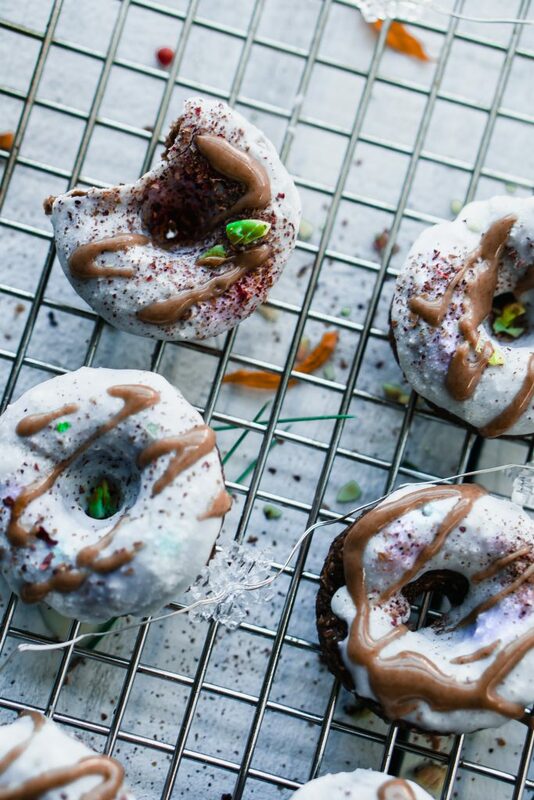 However, if you are looking to make some yummy treats in the upcoming New Year, I’d check out these donuts and see if they match what you are trying to achieve on your health journey. 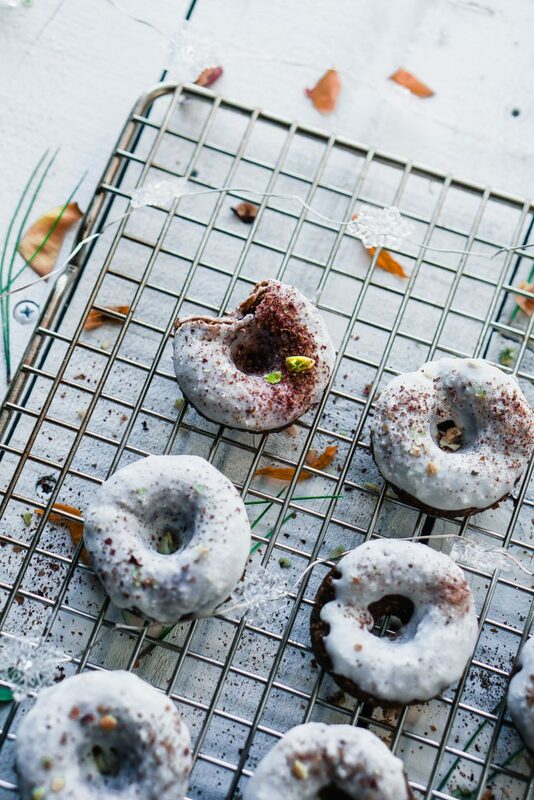 The best feature about these donuts is they fit into so many lifestyles such as Vegan, Paleo, Keto, or Sugar-free. With the New Year coming up, so many health journeys are about to commence and the hardest thing about kicking off a new lifestyle is knowing what you can and can’t eat. That gets even harder when it comes to desserts or sweets. 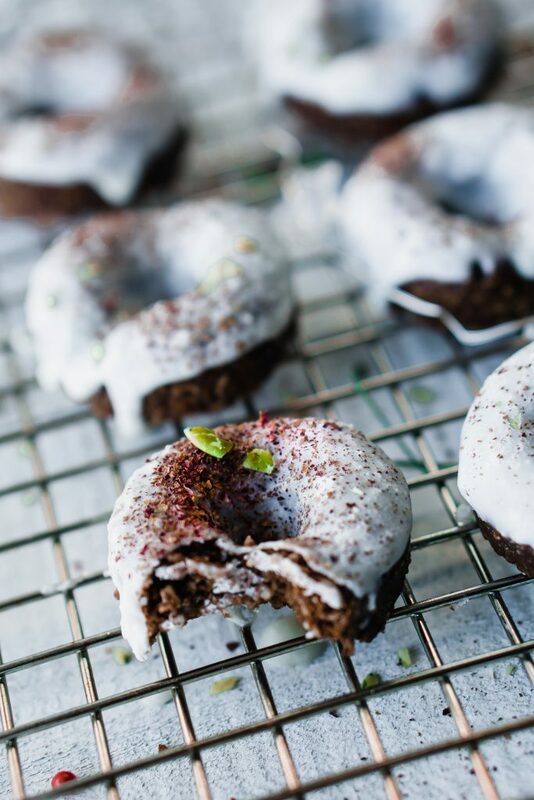 For me, I’m completely sugar-free so making delicious desserts is a challenge, but after I created these donuts, I knew I had something that was extraordinarily tasty! Even better, I gave the donuts to Dan (who generally eats healthy, but not too strict) and he loved them! 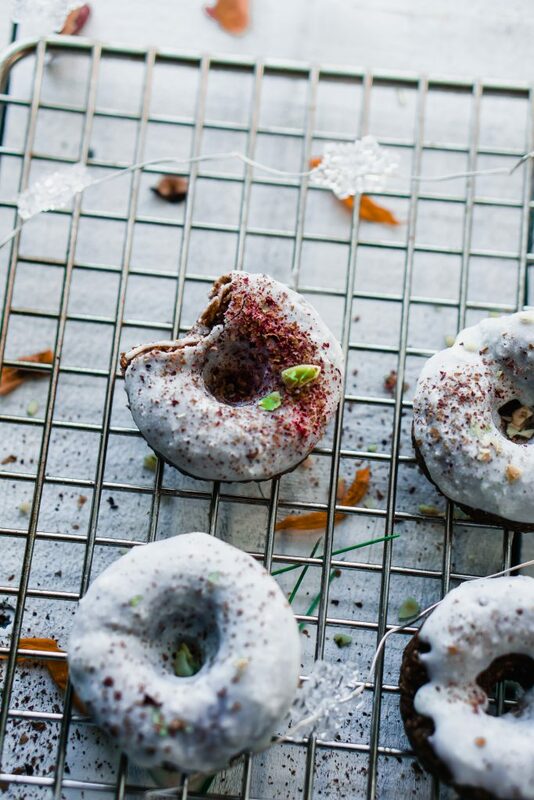 Even if you aren’t following a specific lifestyle, these donuts are exceptional! For the base of the donuts, I used Creation Nation Cocoa Energy Bite Mix (not sponsored just love how easy it is to use so tasty, and clean ingredients). The energy bite mix is completely no-bake, which right now with the bustle of the holidays is everything I needed/wanted. You just mix up the ingredients necessary and form them into the shape that you want. If you’ve been watching my Instagram (@mytinylagunakitchen), you may have noticed that we bought a stone grinder! This tool is a must-have for anyone who wants to make their own nut butter. For this recipe, we bought and toasted a whole bunch of hazelnuts and made our own hazelnut butter. After making the Hazelnut butter, I was SOOO craving Nutella! I mean, chocolate and hazelnut are a match made in heaven after all. I decided to mix the Hazelnut butter in with the Energy Bite mix, creating an exceptional donut that has all the lovely flavors of Nutella! Pour Cocoa Coconut Energy Bite Mix into the bowl. Add in your, hazelnut butter, coconut oil, and almond milk. Stir into well blended and doughy, if it is too dry add in a splash more of almond milk. 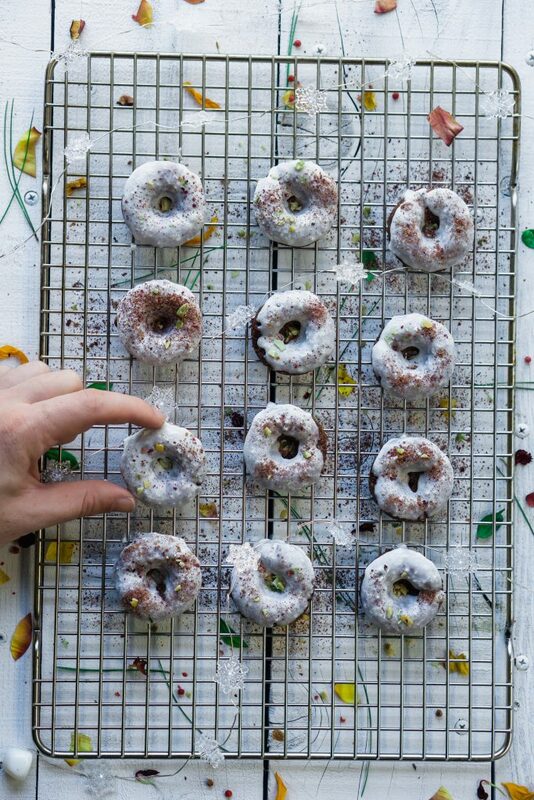 Get a small donut mold, place plastic wrap over the mold. Add your donut dough into the mold. Gently pull out the mix. Dip them in your melted coconut butter. Top with your favorite ingredients, or the ingredients listed above!